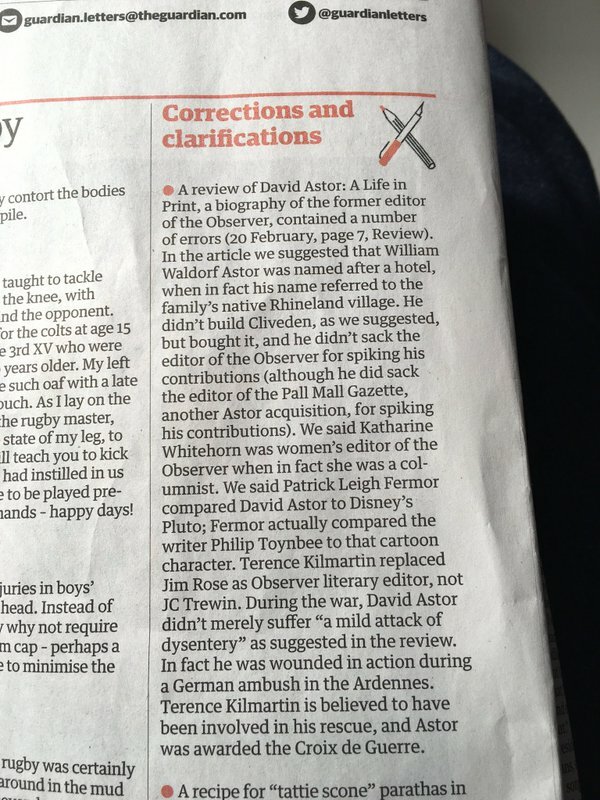 Here’s a cracker of a newspaper correction spotted by @JamesMelville and he reckons it’s the best newspaper correction ever. It’s up there isn’t it (from the Morning Star, by the way). And when we say up there, we mean with this little lot. We start – where else? – with the Guardian and an all-time classic about its interview with the then Wolves chairman, Sir Jack Hayward. Snapchat trouble at the New York Times. Wired forgets to turn off a Chrome extension. Gawker regrets an error in an article about online errors. The Guardian have to correct almost everything about this article. And finally, to The Times!